Jang Da–hye, also known as Heize, is prepping for her upcoming release of her first full album ‘She’s Fine’. Since her last EP last year ‘Wind’ she has been busy making music non-stop. She has just released her new MV teaser for her title track also called ‘She’s Fine’ that you can watch below. 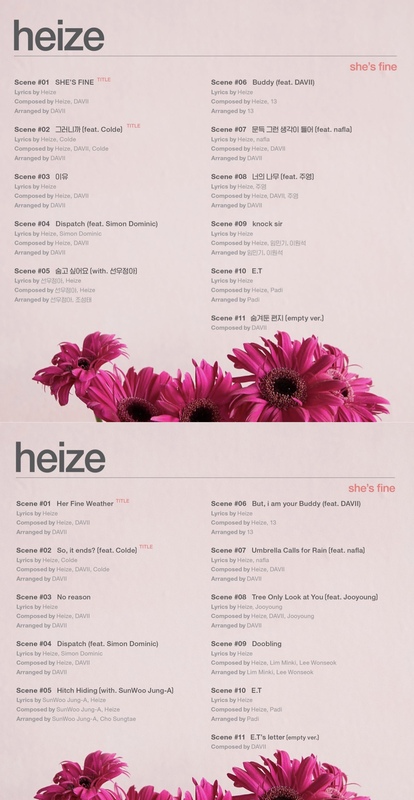 Heize has also dropped her track list both in Korean and also English! Are you looking forward to Heize’s first full album? What do you think of the MV teaser and track list? Let us know in the comments below!